I knew before reviewing this that I was going to review this game highly, as the second game I ever purchased on Steam the first being Plants Vs Zombies. 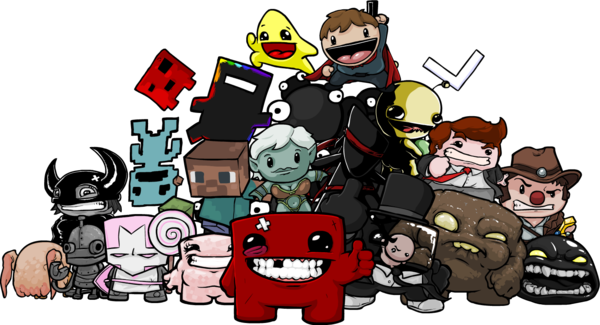 Super Meat Boy is an incredibly polished, difficult game that is incredibly rewarding. I’m going to make a bold statement here as a bit of a Mario fanboy and say that the controls feel as slick if not slicker than a Mario game due to the split second reactions needed and the sense of control when in mid-air. Read on for more information.. I might go on a little bit here but you should find this interesting and I will return to the game in particular but if you haven’t seen Indie Game: The Movie go and watch it or I’m just going to stare right into your face until you do. It shows Tommy Refenes (the guy responsible for the programming and the slick controls) and Edmund Mcmillen (responsible for the level design and creator of Meat Boy) tackle the challenges of developing a game and it shows their highs and lows in the process. Anyway so I don’t go on just check it out this clip. 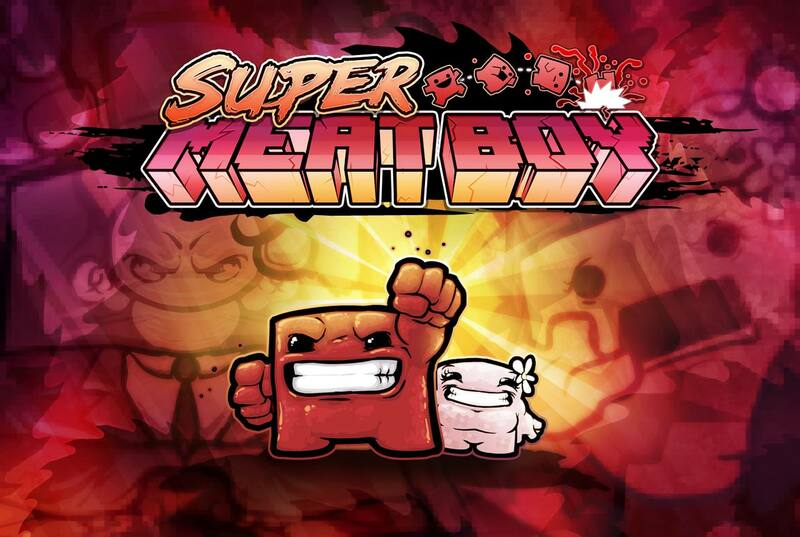 Super Meat Boy comes with several worlds(even doubled by an insanely hard dark world), bonus levels and its own level creator in which you can play other peoples levels as well. Mechanics, the mechanics of Super Meat Boy are simple, jump, slide, dodge, and wall jump to the find bandage girl at the end of each level. The main level design is within the games obstacles, for example saw blades instantly kill Meat Boy, the saw blades start off static, then later on they move from side to side, then later on they swing in 360 degrees or they’re fired from machines. This same story is told for all of the mechanics in Meat Boy making every level feel fresh to play. When I talk about dying in Super Meat Boy I mean you’ll die a lot, fortunately when you do perish it feels like it was your fault and you instantly know how to correct your mistake or how to take a different approach to the problem, it never feels like you blame the game for dying and you spawn instantly meaning that you rarely get truly frustrated at levels. There is also a whole host of unlockable characters from other Indie Games and even the Head crab from Half Life is in the Steam release. The characters feel balanced for example a character called Jill enables you to slow your fall as you propel yourself across a large area, enabling you to make long jumps with ease however when you’re being shot as by turrets this slowness has its disadvantages. This shows some of the unlockable characters within the game I’m sure you recognise Steve(Minecraft), Commander Video(Bit Trip Runner),Goo Ball (World of Goo), Tim (Braid) and the pink knight from Castle Crashers. Although be wary some characters are exclusive to platforms such as the pink knight is exclusive to XBLA. All in all Super Meat Boy is a worthwhile purchase to say the least, and one of those games you can leave for a while stuck on a level and come back to a couple of days later and be able to complete. A truly rewarding game based off its insane difficulty curb.